Southeast Awnings was referred tous in 2008 by another web designer in the Newnan area. The previous web designer had become swamped with an overload of business, and we were happy to help. 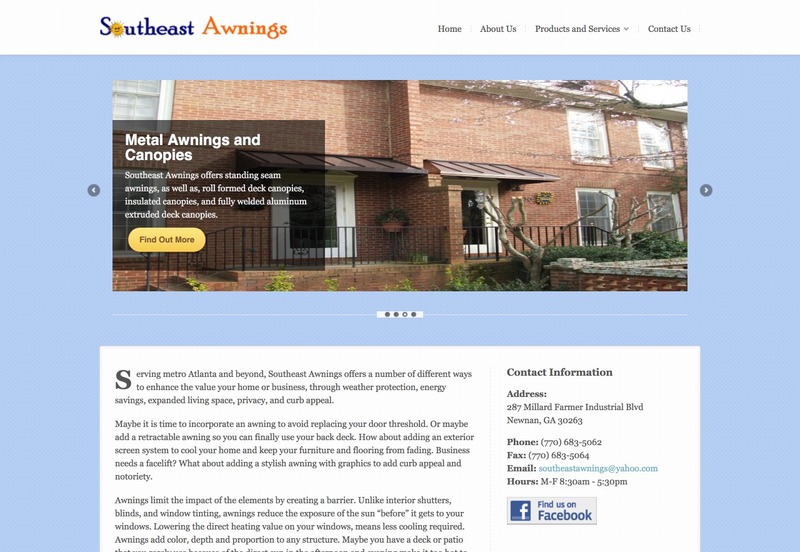 We redesigned the Southeast Awnings website back in 2011 using WordPress.